We are delighted to present the details for Gabriel's Cottage ideal for a cottage holiday in Keswick, Cumbria. To book or find out more please use the Booking Info or Availability buttons below. 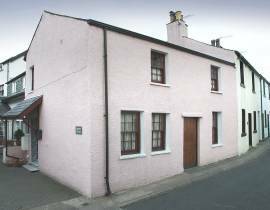 A charming 2 bedroomed corner terraced cottage, located just off Keswick town centre and a 5 minute walk from Derwentwater and Hope Park. 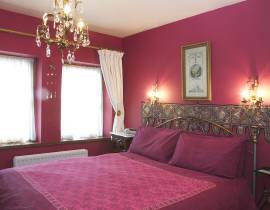 Built in the early 19th Century, Gabriel's Cottage was formerly 2 separate cottages but has since undergone total refurbishment to provide luxurious accommodation whilst retaining a wealth of character. There is one or more televisions at Gabriel's Cottage. Ideal if you want to catch up with the latest on your favourite programmes or just fancy a quiet night in relaxing in front of the box. Great news if you just want to get away for a long weekend or short break. 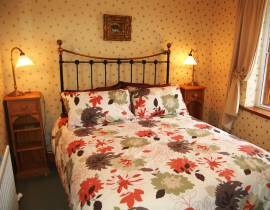 Gabriel's Cottage accepts bookings for short breaks. So if you fancy a few days in Cumbria to recharge your batteries then this cottage is well worth consideration. 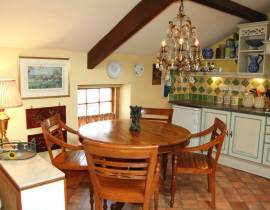 Gabriel's Cottage sleeps up to 4 people so could be perfect for your family or group. So if you are looking for a family holiday in Cumbria then Gabriel's Cottage could be just the ticket. Bedroom 1: Double with king sized bed. 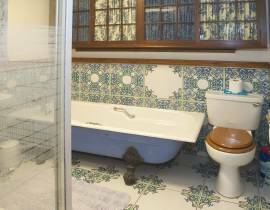 Bathroom: With ornate cast iron bath, shower cubicle, bidet, WC and hand basin. 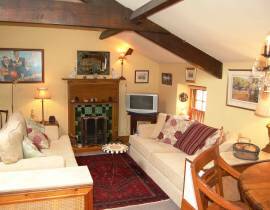 Living/dining/kitchen: Open plan with exposed trusses and beams, attractive open fire, colour TV (with Sky), DVD player and CD/radio/cassette. 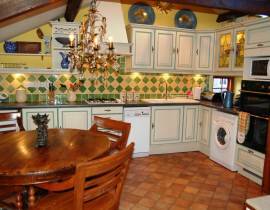 The kitchen has electric oven, gas hob, fridge with ice compartment, Washing Machine / Dryer, dishwasher and microwave. Shower room: With WC and hand basin. All gas, electric, logs and bed linen included. Cot available. As you can see Gabriel's Cottage is located in a great location. 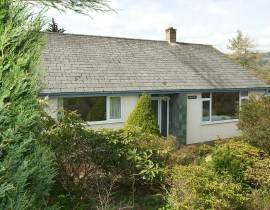 The perfect base for any holiday around Keswick. And well suited to explore the whole of Cumbria. There are plenty of great places to vist near Gabriel's Cottage. Take a look at out holiday ideas pages for details of many places that are well worth considering visiting whilst on holiday at Gabriel's Cottage. Sycamore View is a spacious lodge in the beautiful Eden Valley, and an ideal base to explore the Lake District National Park. Centrally located apartment beautifully furnished and equipped to an extremely high standard.